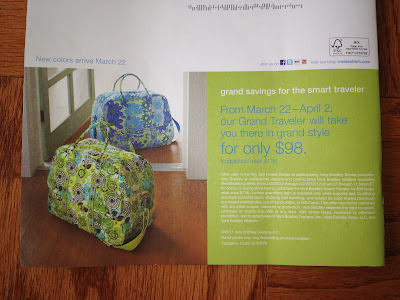 Grand savings for the smart traveler. From March 22 - April 2, the Grand Traveler will take you there in grand style for only $98 (red $118). Offer will be available at participating Vera Bradley stores and retailers. I work for VB and I didn't know this. :( Boooooo.